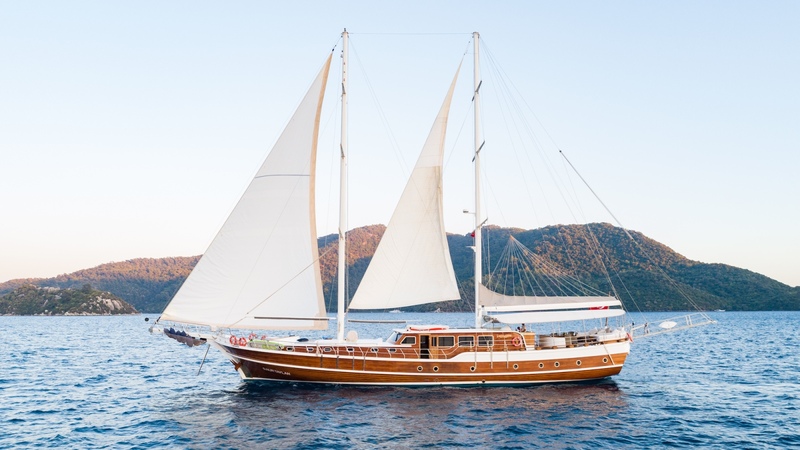 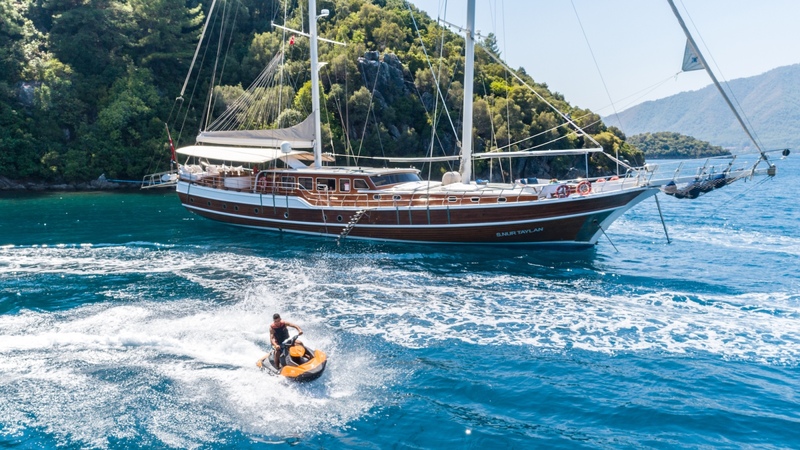 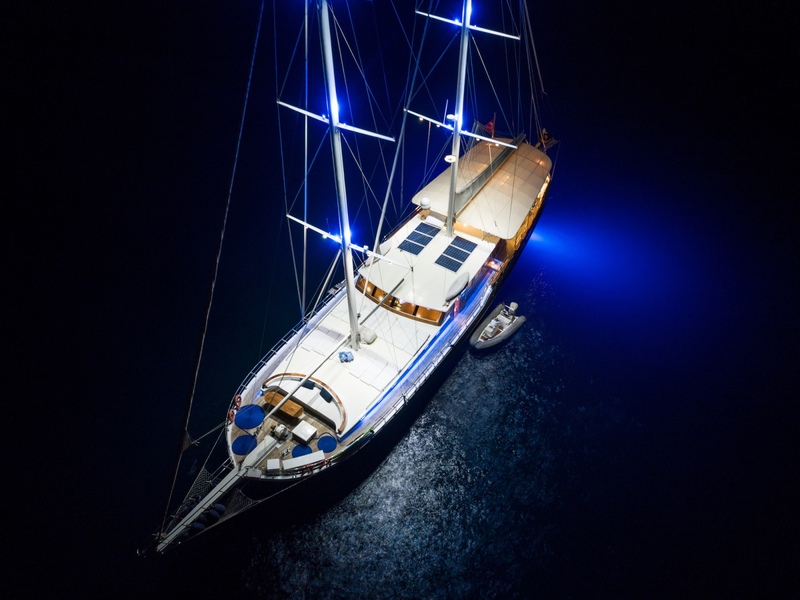 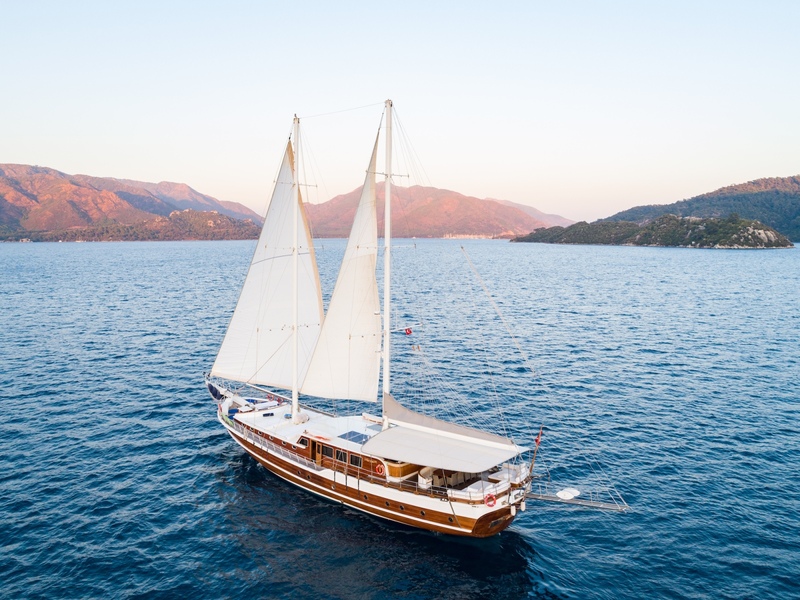 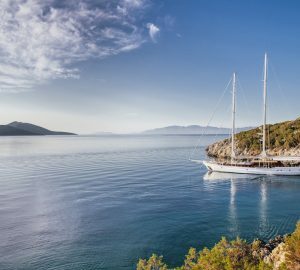 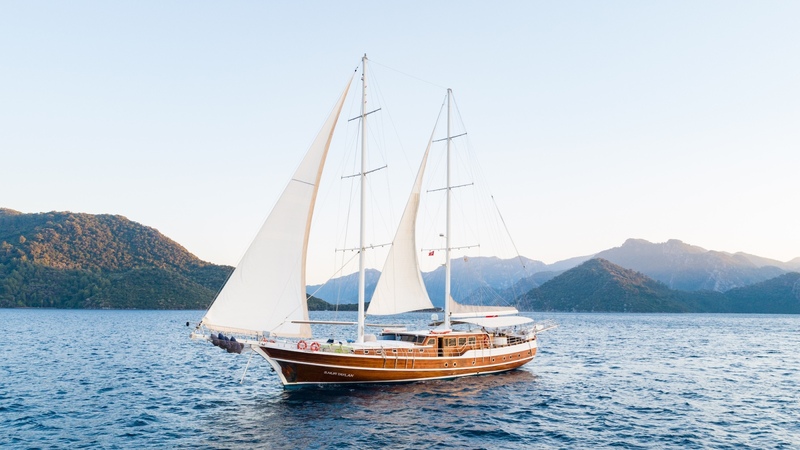 Launched in 2012, S NUR TAYLAN is a traditionally styled gulet with accommodation for up to 16 charter guests, in 8 spacious cabins. 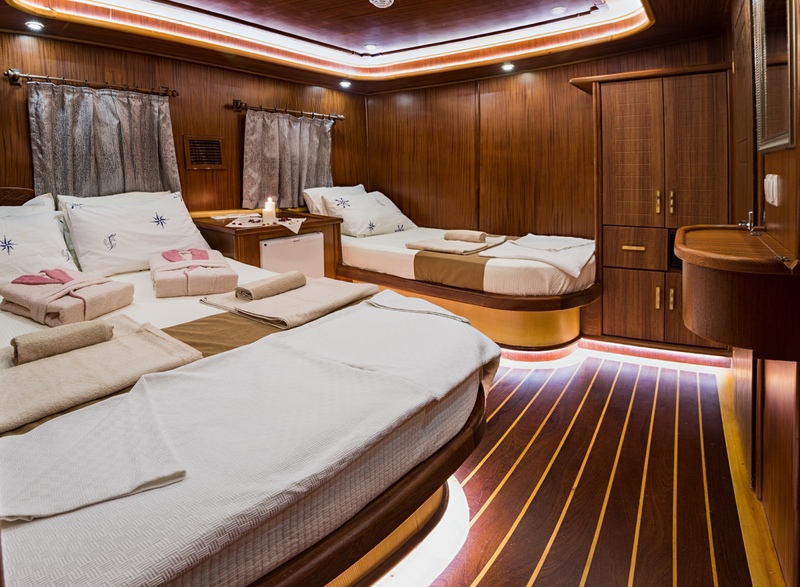 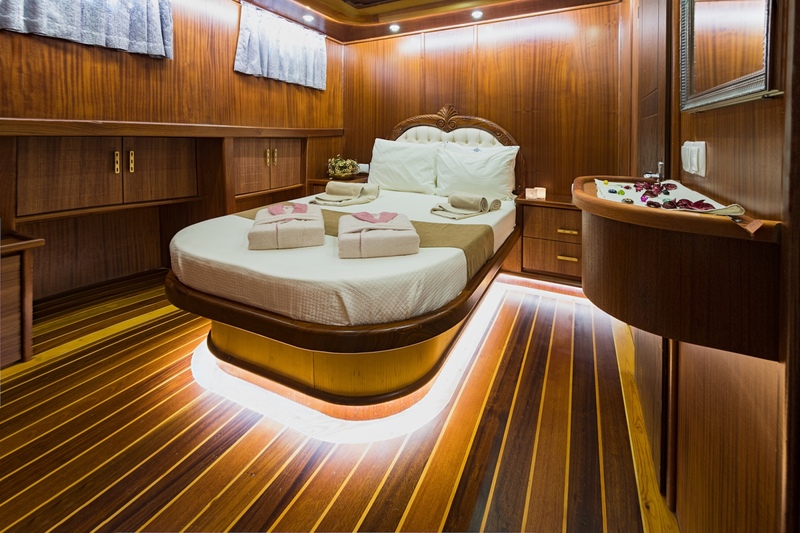 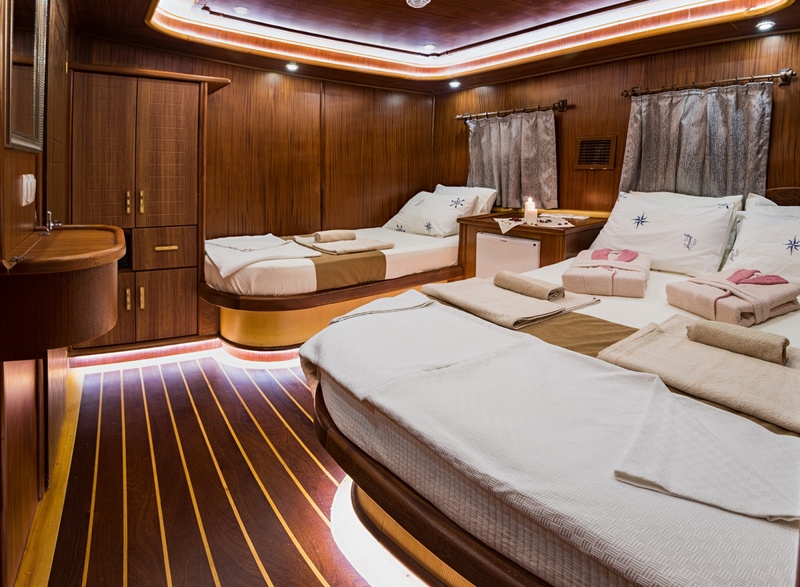 Her interiors are timeless with beautiful teak and holly flooring, neutral fabrics and a combination of wood and white paneling. 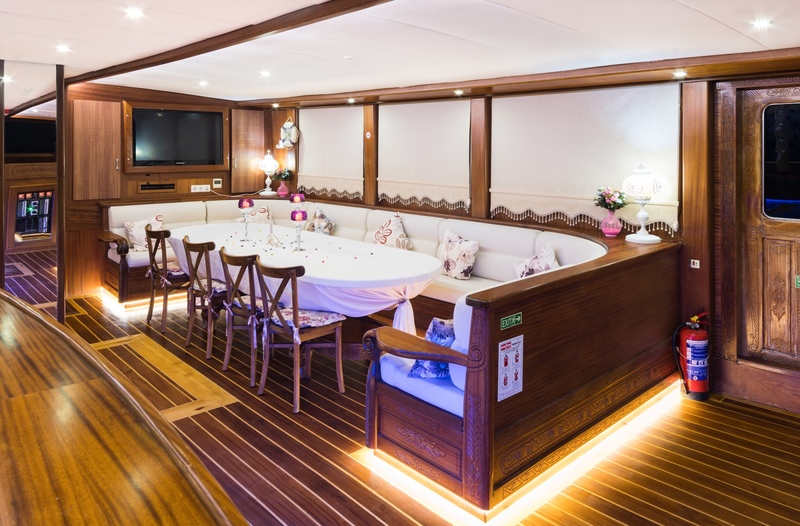 The open plan main salon and dining has 2 opposing sofas, 2 tables and full entertainment facilities. 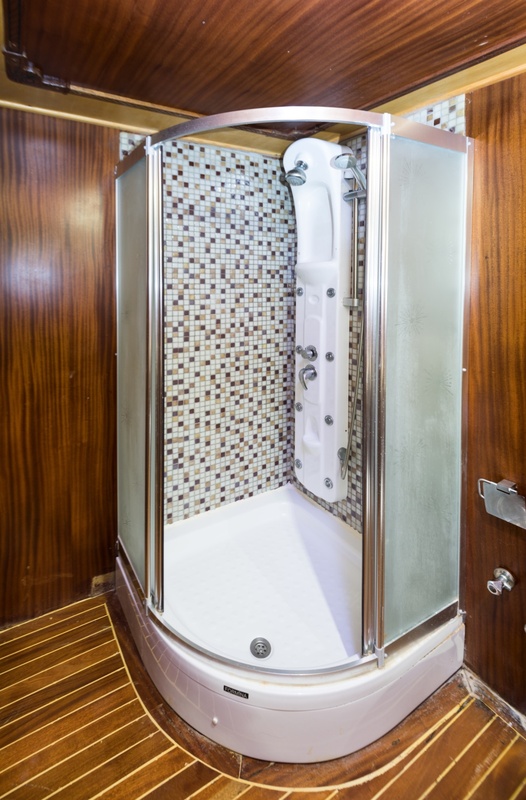 Surrounding windows provide plenty of natural light, while by night, privacy blinds can be pulled down. 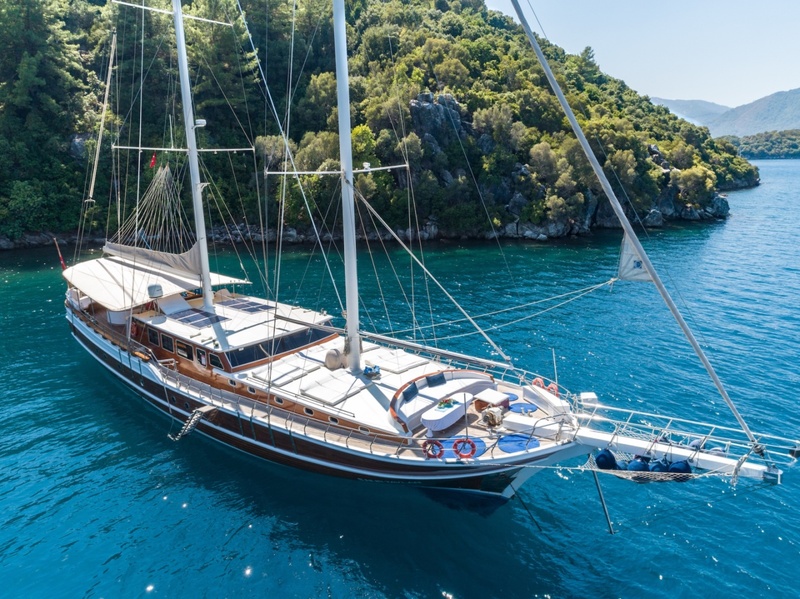 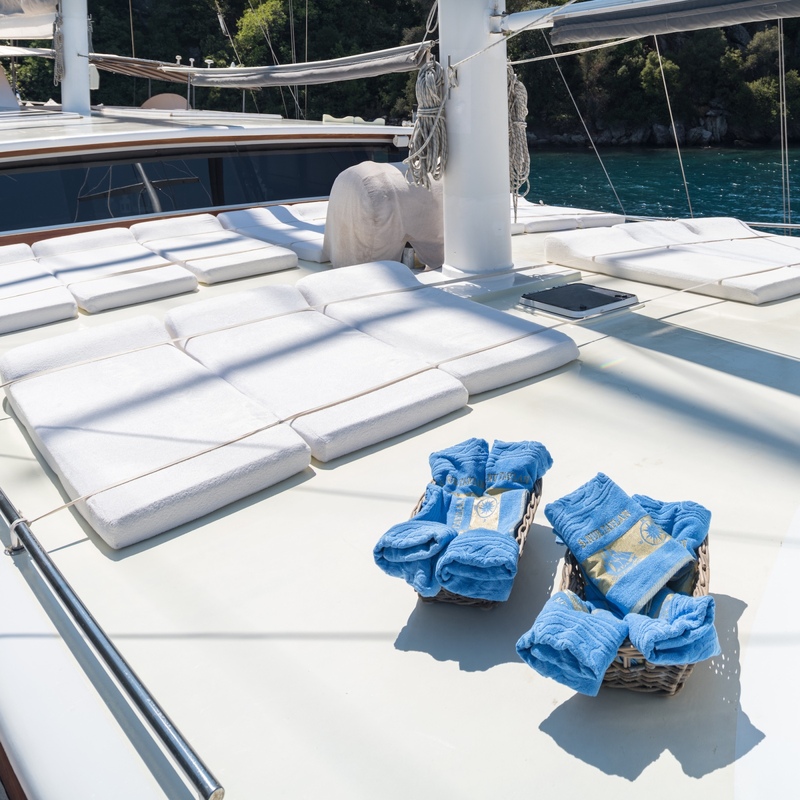 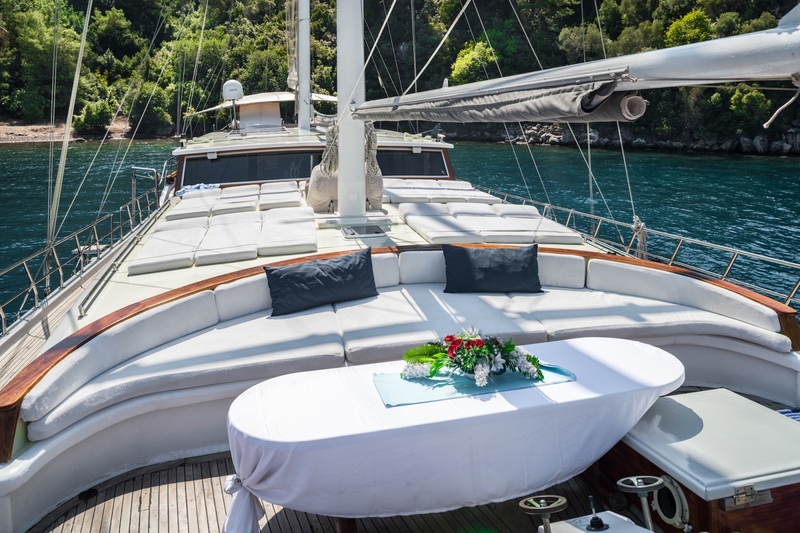 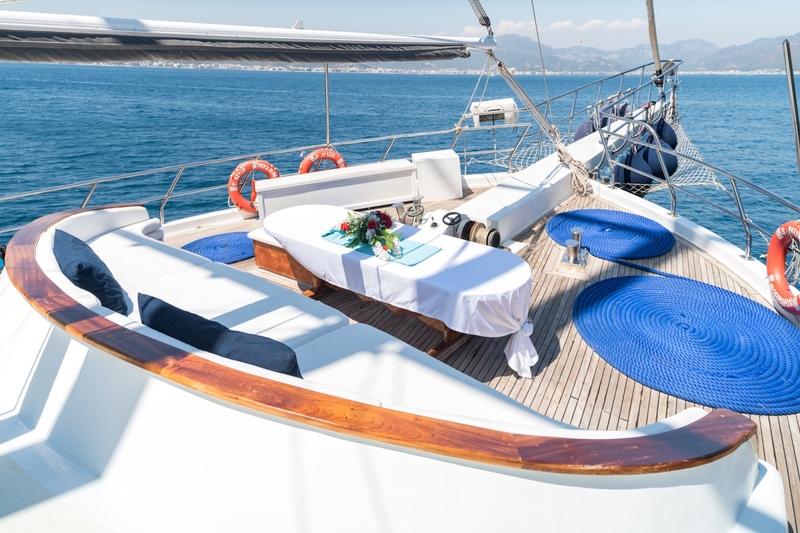 The gulet’s deck space is well-appointed, offering a shaded aft deck boasting alfresco dining, wet bar and full beam aft sunpad. 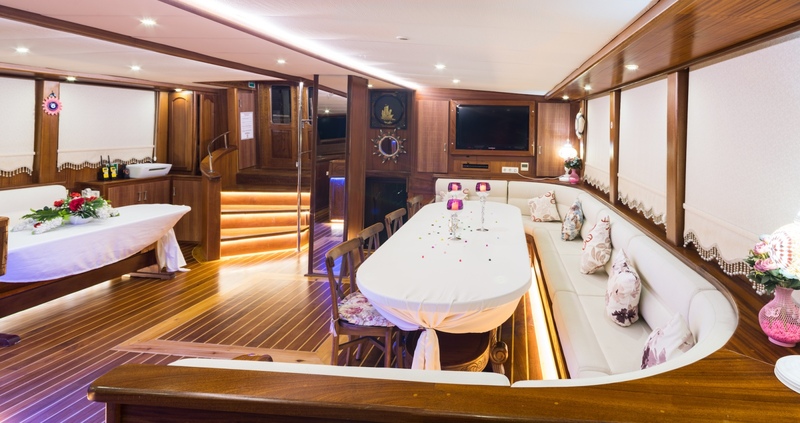 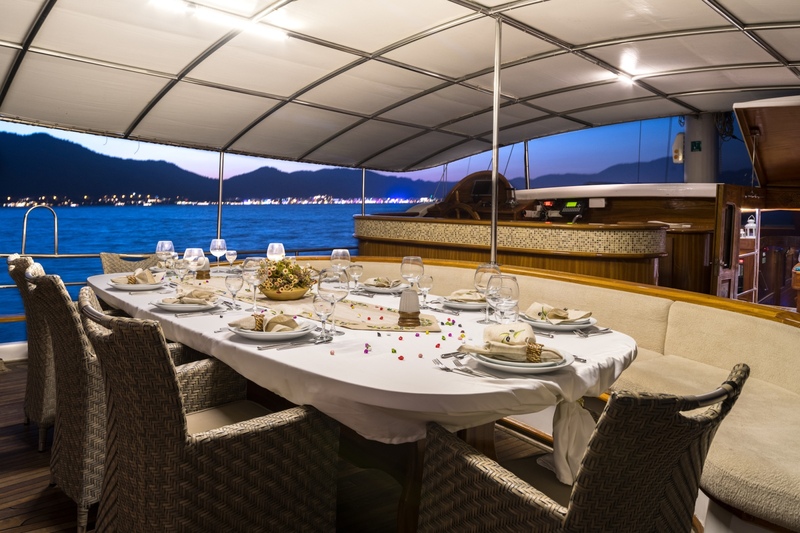 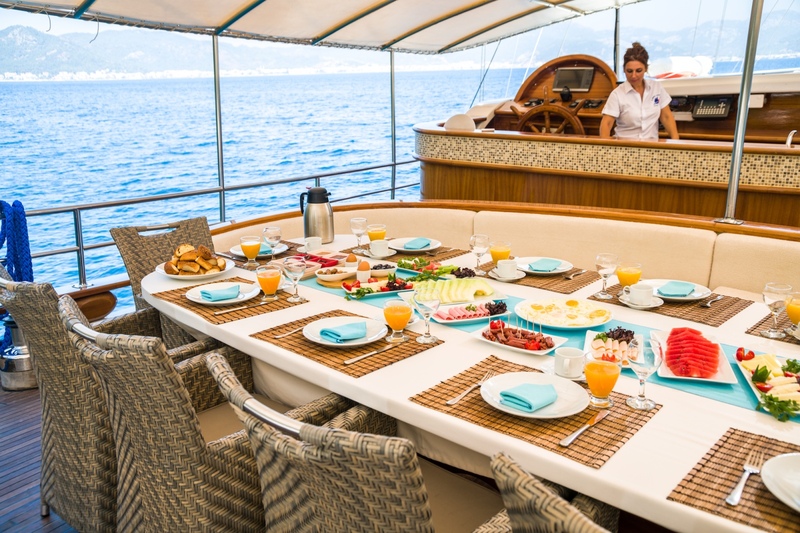 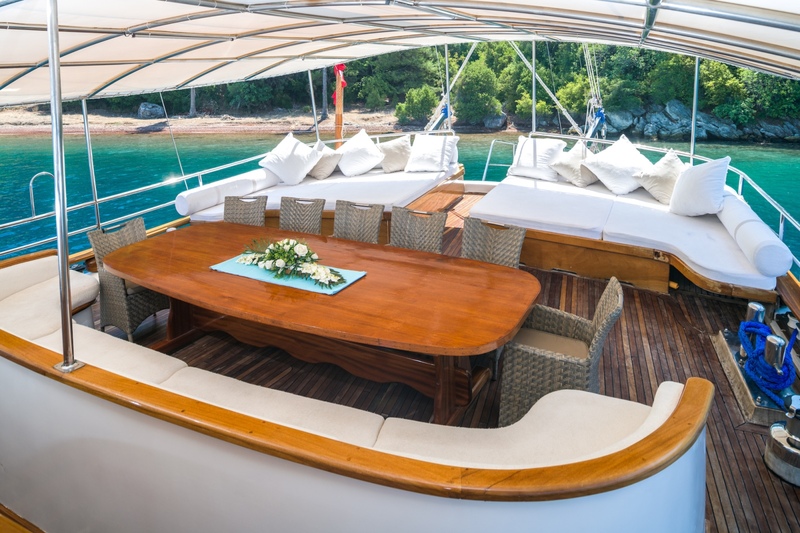 Side decks lead forward to a further alfresco dining table, plus numerous sunpads located amidships in a raised position. 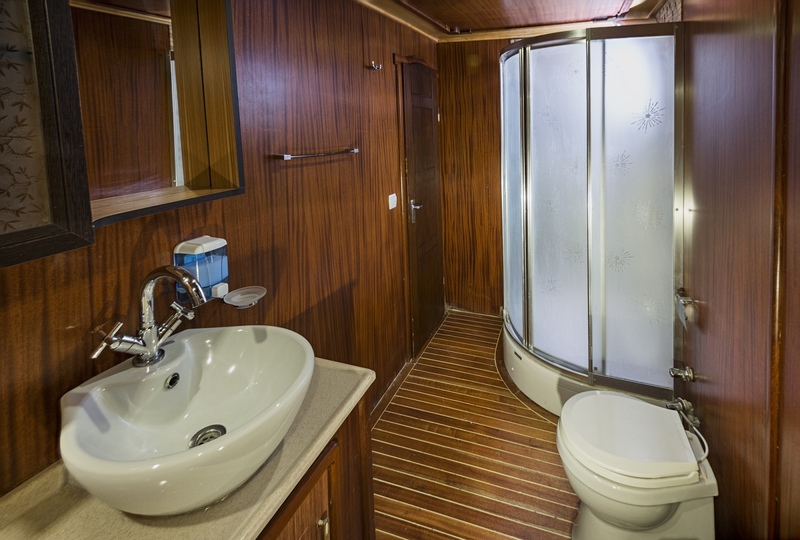 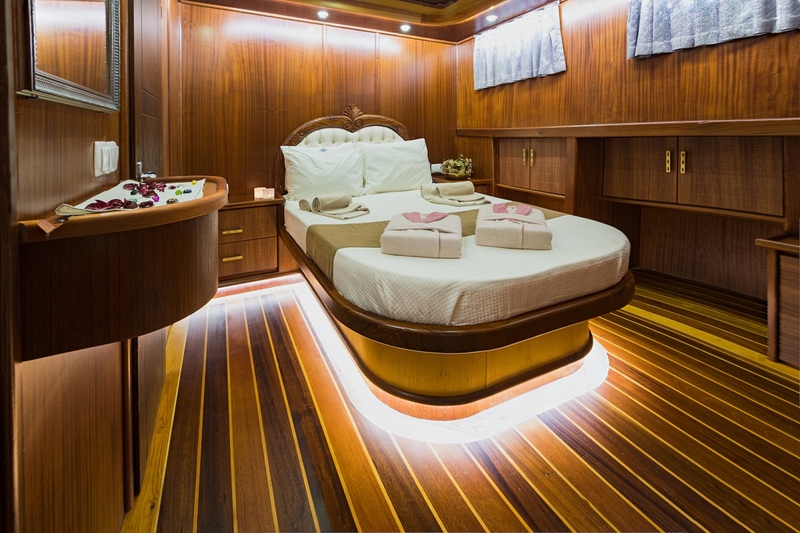 Accommodation is in 6 double and 2 twin cabins, all of which have private ensuite facilities.